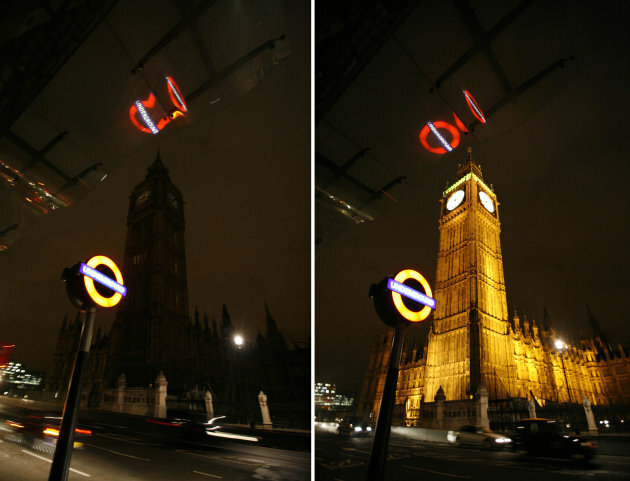 From London to Las Vegas, world famous landmarks across the globe will be plunged into darkness and an estimated 1.8 billion people will switch off their lights for Earth Hour 2012. The blackout begins in the UK at 8.30pm on Saturday and lasts for a whole hour, with 135 countries in all participating in what is the world’s largest environmental campaign. In the UK lights will be switched off at Buckingham Palace, Big Ben, the Houses of Parliament and Piccadilly Circus. Old Trafford and Wembley Stadium will also show their support for the cause. Elsewhere, darkness will descend on the Sydney Opera House in Australia, Rio’s Christ the Redeemer, New York’s Empire State building in New York and the Eiffel Tower in France. People are being urged to enter into the spirit of things by playing head torch scrabble, organising candlelit dinners and enjoying night cycle rides. The World Wildlife Fund (WWF) staged the first Earth Hour back in 2007 as a one-city event in Sydney, Australia. This year’s event is set to be even bigger than the last, with more famous landmarks across 5,000 cities joining the big switch off. A spokesman for the WWF said: "It’s not to save an hour’s electricity. It’s something much bigger. WWF’s Earth Hour is about people coming together to put the focus on this brilliant world we all share – and how we need to protect it. "It’s about realising that the actions we take, from the energy we use, to the food we buy and water we drink, has an effect on the world. We all depend on our amazing planet and need to look after it – not just for an hour a year, but every day." Secretary General of the United Nations Ban Ki-Moon has pledged support for this year’s Earth Hour. He said: “We do it in solidarity with men, women and children, and 20% of all human kind, who live with no access to electricity. Turning off our lights is a symbol of our commitment to sustainable energy for all. Earth Hour takes place between the hour of 8.30pm and 9.30pm in a staggered formation through international time zones. It kicks off in Fiji, then New Zealand and Australia, spreading eastwards to Korea, China, Malaysia, the Philippines, Singapore, India, United Arab Emirates, across Russia, Africa and Europe - before reaching the UK at 8.30pm local time and moving on to North and South America. We'll being praying to ''mother earth'' next. Utter nonsense the lot of it!